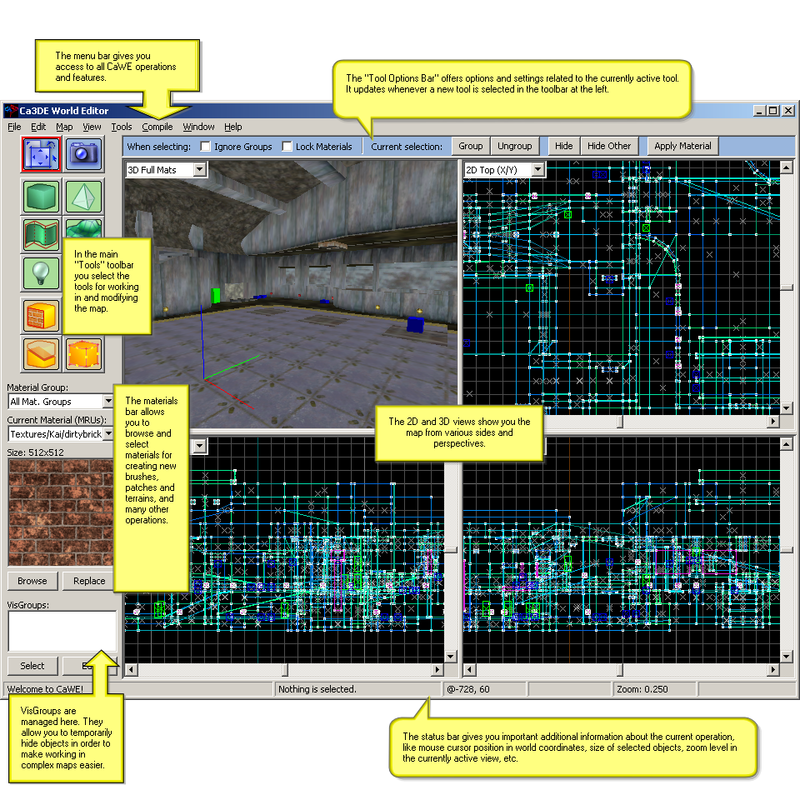 Whenever you work with a map in CaWE, the screen presents a number of toolsbars and controls. Here is an overview of the most important elements of the user interface. Each toolbar and interface element outlined above has its own detailed section within this manual. Refer to the table of contents in order to learn more about each in greater depth.